OK, just a quick note about potatoes. I know, potatoes? What’s interesting about them, anyhow? Well, in the US, I was accustomed to my Idaho Russets – kind of all-purpose potatoes, you know? Here there are MANY more choices…. and they’re all different taste and textures. Pretty cool. But I noticed something odd. 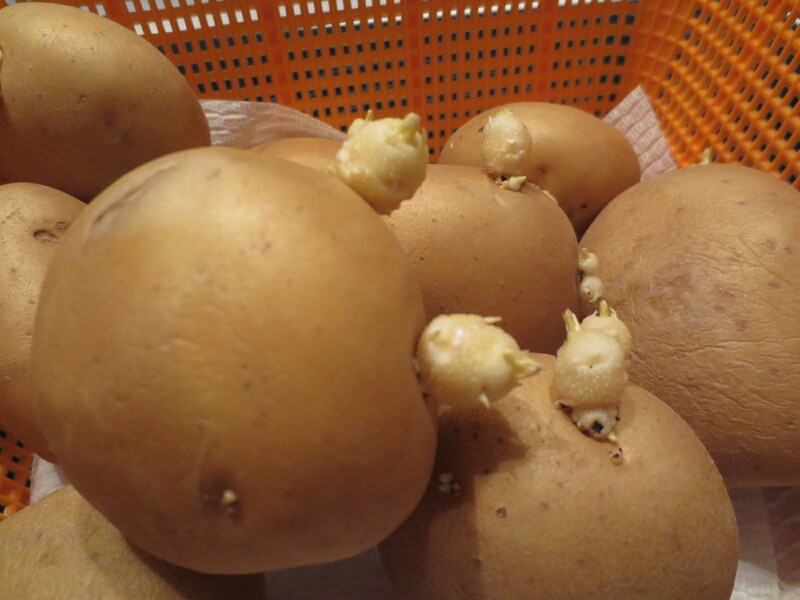 You know how when you keep potatoes just a bit past their prime, they’ll begin sprouting?? These are the sprouts I’m accustomed to seeing….. kind of pointy and long? 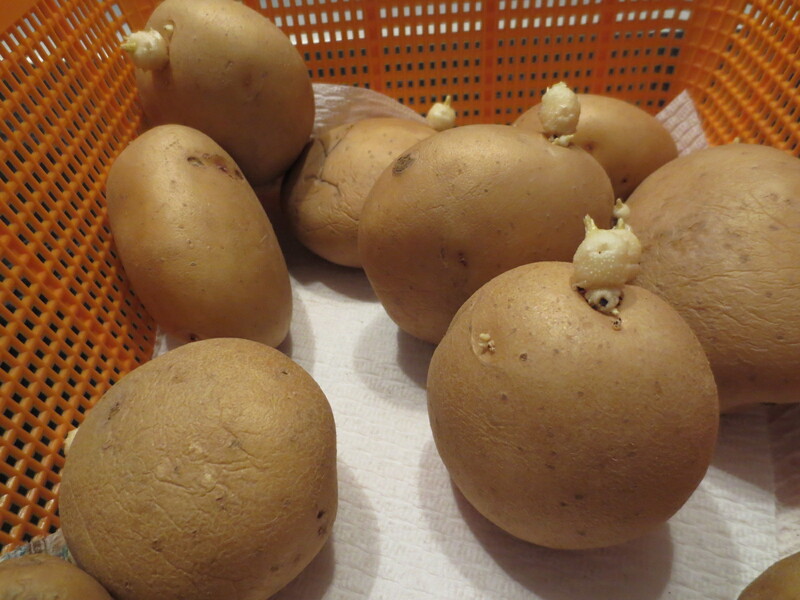 Hmmm… my potatoes here didn’t exactly look that way – they sprouted some alien-looking ball-shaped pods of some sort! Freakishly round, I didn’t quite know what they were, afraid it was some weird Middle-Eastern mold spore or something…. but nah…. it was just a sprout! My goodness…. weird looking, aren’t they? Nope…. not some exotic mold spore, just a dang sprout. Funny-looking, though! OK, crisis averted. I popped those puppies off, peeled, boiled, mashed and seasoned them and we ate them for supper… just another tiny view of my new Middle Eastern life, huh?? I bet the plants are HUGE! You know, I honestly have no clue. But those were some seriously odd-looking sprouts! Funnily enough I was just talking to my husband yesterday about potatoes! I was telling him I had got some New Potatoes and he did not know what I meant. I tried to Google what they are called in the US but did not find anything. Maybe, Baby Potatoes? 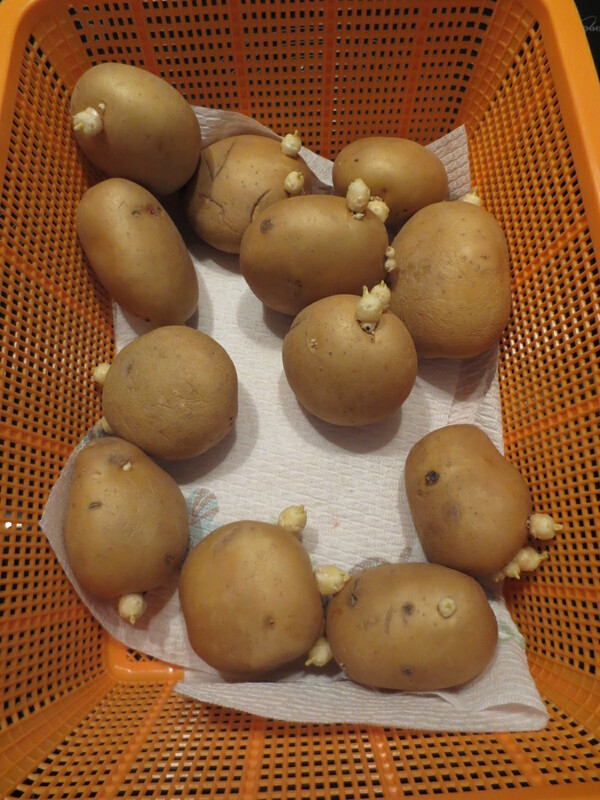 I don’t know – but, you’re right about the sprouting sprouts out of your potatoes – very unusual!